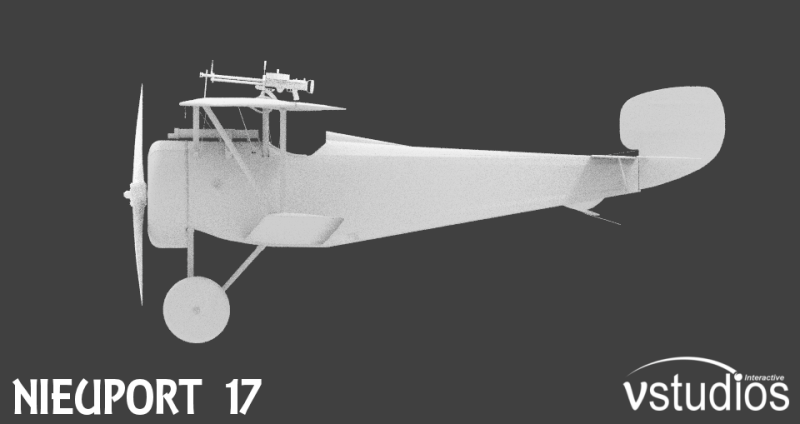 My focus has been turned to the Nieuport 17. 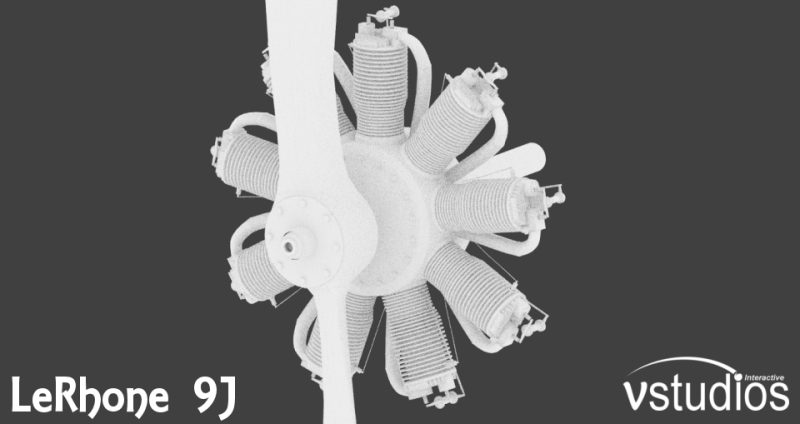 The center-piece of this aircraft, for me, is the LeRhone 9J Rotary engine. A 9 cyl. masterpiece of engineering for it’s day, the engine produced 110hp for the little Nieuport. With the Vertigo Studios development, no detail has been spared in replicating this engine. As other rotaries, the crankcase and cylinders rotate around the crankshaft! The Engine is fully animated, and will contain some pretty neat systems features! For the first-time in payware development for FSX, a unique Max-Blender-FSX workflow has been established, allowing us to maximize efficiency, and development features. We look forward to providing some pretty nifty perks in our developments. For those of you who may be questioning the timeline(s) of this, and other projects. Let me be specific, and say that we’re in for a pretty good year! My development work on the Spad, and Nieuport has opened up Deano’s time, allowing him devotion to some of the other much anticipated releases! I’ve seen some pretty awesome renders in the past several weeks, and when the time is right, I’m sure we’ll have some goodies to show you! w/ systems programming for operation, including hand-cranking. TacPack integration, with animated gun action. 3D Cone External Audio set. That’s all for now. We look forward to your feedback. Until my next writing, blue skies!